GMH is a management firm that provides business continuity management (BCM) and IT disaster recovery planning (DRP) consulting services. We develop and review business continuity plan for leading business, government, SME organizations across Asia Pacific and Middle East regions. We help our clients to achieve international business continuity certifications, internal & external audits and more importantly, continuity of business after a disaster. In over a decade, we have built a firm equipped to accomplish this task. Dr Goh Moh Heng is the President of BCM Institute and the Managing Director of GMH Continuity Architects – a specialized BCM Consulting firm. His primary areas of expertise include Business Continuity Management (BCM), Disaster Recovery Planning (DRP), ISO22301 BCM Audit and Crisis Management. Since 2011, Moh Heng has assisted more than 20 organizations, particularly those operating in the Asia Pacific and Middle-East Region in their successful implementation of their Business Continuity Management System (BCMS) and achieving their BS 25999/ SS 540 / ISO 22301 organization certification. 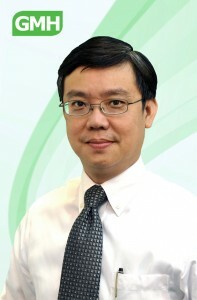 Prior to establishing BCM Institute and GMH BCM Consulting, Dr Goh held senior positions with a number of large organizations. During his career with the Government of Singapore Investment Corporation (GIC), he was responsible for all aspects of its BC and contingency planning. At Standard Chartered Bank, he saw to the global implementation of its BC management and planning. He also managed the BCM practice at PricewaterhouseCoopers. Currently, Dr Goh is the senior advisor to the China BCM Forum, a quasi government agency responsible for BCM throughout China and an expert panel member of the Asia-Pacific Economic Cooperation (APEC) Network on Improving SME Disaster Resilience (since 2011) and JICA-ASEAN study to enhance resiliency of industrial areas against natural disasters (since 2012). Jeremy is experienced in technology and project management; information security management, business process re-engineering, disaster recovery and business continuity planning. Prior to joining BCM Institute and GMH Continuity Architects, Jeremy Wong was the Head of Business Continuity Management for South Asia with Nomura, based in Singapore. He was responsible for planning and implementing BCM, developing policies, frameworks and standards to support BCM functions. Jeremy was also Vice President of Business Continuity Management with United Overseas Bank. He was a managing consultant with GMH Continuity Architects working on business continuity and disaster recovery projects such as the Asia Development Bank and the Stock Exchange of Thailand within the Asia Pacific region. Mr Wong was also a regional IT manager with Bax Global and spent a number of years working at JP Morgan and Anderson Consulting (now known as Accenture). At JP Morgan, he headed the IT Products and Services team in the Corporate Technology Group. He was instrumental in the set up of the Regional Hub Response Center for Asia-Pacific. Mr Wong was also a key member of their Business Continuity Planning team. At Anderson Consulting, he led in several major projects and implementation for property management, logistics and data warehousing solutions. Rose was the Vice President for DBS Bank and JPMorgan Chase Bank, responsible for the management and delivery of their Business Continuity Management (BCM) programs. She has more than 10 years of BCM experience including regional BCM planning and program implementation for the banks’ offices in Asia: Singapore, Australia, Hong Kong, Japan, India, Korea and South-East Asia. Her BCM experience includes Business Impact Analysis, recovery strategies development, alternate sites implementation and business continuity/crisis management exercises. Her other BCM involvement include risk mitigation planning for DBS Bank for the S2006 event (IMF/World Bank meetings), planning and conduct of the Financial Industry-wide Business Continuity Exercise as well as Avian Flu pandemic response planning. 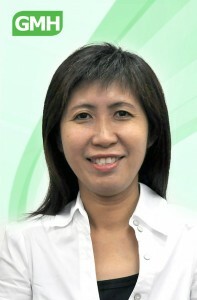 Besides being in the banking industry, Rose had held several IT and Engineering roles at Apple Computer, with responsibilities in Computer Integrated Manufacturing and IT. 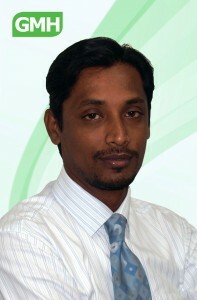 Murugan is currently the Assistant Vice President for GMH Continuity Architects office based in Malaysia. Murugan has vast experience in development and deployment of Business Continuity Management Projects/Program/Workshops for Banks & Financial Institutions (Local & International), Information Technology, and World-Class Event Management. 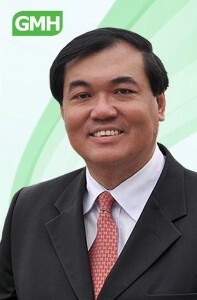 He has also managed and actively involved in IT Outsourcing engagement largely for financial institution and other industries namely Data Centre Services, Media Management, Service Desk and Contact Centre Services and was also responsible to drive performance across the organization, guiding collaborative teams, to implement strategic initiatives to protect the company’s business operation. Appointment within BCM Institute Murugan. 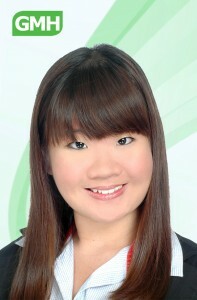 M is an Instructor with BCM Institute.